Pulitzer-Prize winning journalist Jose Antonio Vargas has been called “the most famous undocumented immigrant in America” after The New York Times Magazine published his story on his life in the United States after arriving from the Philippines in 1993 at the age of twelve. By coming out publicly in 2011 as an undocumented immigrant, Vargas was risking everything he had built in the United States. With the national debate over immigration at fever pitch, Vargas examines not only the facts of immigration but also the searing emotional reality of living for twenty-five years as a contributing member of a county that does not consider him one of its own, in his deeply personal call to arms, Dear America: Notes Of An Undocumented Citizen. 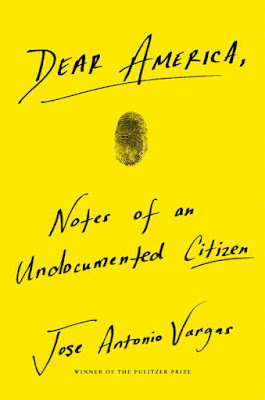 “This is not a book about the politics of immigration," Vargas writes in Dear America . "This book––at its core––is not about immigration at all. This book is about homelessness, not in a traditional sense, but in the unsettled, unmoored psychological state that undocumented immigrants like myself find ourselves in. This book is about lying and being forced to lie to get by; about passing as an American and as a contributing citizen; about families, keeping them together, and having to make new ones when you can’t. This book is about constantly hiding from the government and, in the process, hiding from ourselves. This book is about what it means to not have a home. Vargas is the founder and CEO of Define American, the nation's leading non-profit media and culture organization that fights injustice and anti-immigrant hate through the power of storytelling. When it comes to the current moment in the United States in the age of President Donald Trump, Vargas is quite clear, writing, "We are living through the most anti-immigrant era in modern American history. Immigration of any kind, legal or illegal, is under unprecedented attack. United States Citizenship and Immigration Services, which issues green cards and grants citizenship, has stopped characterizing America as 'a nation of immigrants.' To a degree unmatched by previous administrations, President Trump is closing America's doors to the world's refugees, slashing the number of refugees who can come to the U.S. by more than half. The everyday lives of 'Dreamers,' young undocumented immigrants who arrived in the country as children, are subject to the president's tweets. Trump conflates undocumented immigrants with violent MS-13 gang members, referring to us as 'animals' and 'snakes,' often in front of boisterous crowds roaring with approval." In Dear America, Vargas chronicles his life from the time that he was suddenly woken up one day by his mother in the Philippines and put on a plane to California to live with his grandparents. They were legal, but he wasn't, a fact he was not aware of until he tried to apply for a driver's license at the age of sixteen. A kindly woman at the DMV, who could have reported him immediately, whispered to him that his green card was fake, and to not come back. In the following years, Vargas became an outstanding student in Mountain View, which is the Silicon Valley suburb best known as the headquarters of many high-tech companies, including Google. Vargas lived on the working-class side of town and tried to decode the mysteries of American culture, especially around race and immigration. He impressed his high school principal and superintendent, and they eventually became his surrogate parents. As a reporter on the high school newspaper, he threw himself into journalism because seeing his name in print made him feel real and present in America in a way nothing else could. When he graduated, he graciously accepted the offer a venture capitalist to fund his college education at San Francisco State because, as an undocumented individual, he had no access to the loans and grants available to citizens. Vargas was 19 years old when he first knowingly lied about his legal status. On an application for a job at the San Francisco Chronicle, he checked a box that said he was an American citizen. Even though he was stricken by guilt, he felt he had no choice if he wanted to stay in a country that had become his home and pursue the career he was born to follow. "I am going to earn this box," he told himself. A female friend offered to marry Vargas so he could legalize his status, but he declined because he is gay. The more ambition Vargas had as a reporter, the more laws he had to break. For a highly coveted internship at The Washington Post, he had to have a driver's license, thus forcing him to lie to get one. He was successful from the beginning there, but the felt a bit extra pressure because of his undisclosed legal status. He turned down a chance to be a foreign correspondent because he had no passport, and became a political reporter. After a few months, he confided in a trusted mentor at the paper about his legal status and that provided him some temporary relief. When he was approaching his 30th birthday, he was severely depressed despite all of his professional success, such as being recruited by Arianna Huffington to write for the Huffington Post and doing an exclusive piece for The New Yorker on Mark Zuckerberg. Vargas felt that he could no longer live with the lying, the hiding, and emotional isolation that gnawed at his relationships and self-image. That was when he chose to reveal his undocumented status in the New York Times Magazine in June 2011. The piece changed his life forever, as he was warned by immigration lawyers that if he admitted to telling lies in print, he would become unemployable, and that finding any kind of solution to his immigration problem would be next to impossible. Vargas, with inspiration by black writers like Toni Morrison and James Baldwin and gay heroes Ellen DeGeneres and Matthew Shepard, felt it was time to risk his privilege not only on his own behalf, but also on behalf of the approximately 11 million undocumented immigrants in the United States. In 2014, Vargas flew to McAllen, Texas, to witness and document the immigration crisis on America's southern border, a crisis that he feels is mostly the creation of U.S. government policies. While there, he was detained when he tried to leave the 100-mile-wide zone north of the border where everyone, including U.S. citizens, is subject to questioning by federal authorities about their legal status at any time. As a result, Vargas received his first legal American papers, and was instructed to carry these documents with him wherever he goes. These papers are called an NTA, or "Notice to Appear," which make him subject to deportation at any time, although he has no idea when or if this might occur. This is why he opened Dear America with, "I do not know where I will be when you read this book." After coming out as undocumented, Vargas founded the nonprofit organization Define American, which uses storytelling to change the culture around the way immigrants are perceived, and traveled to many cities and towns in 48 states, engaging all kinds of people. In the process, he discovered that most Americans do not know how the immigration system works, what the citizenship process requires, and how difficult, if not impossible, it is for undocumented people to "get legal." Vargas feels the public is woefully uninformed because the media is not asking the right questions regarding immigration, writing, "Even the country's most credible news organizations fail to report basic facts about how much undocumented workers pay into a government that vilifies and criminalizes us. Whether by ignorance or indifference, or both, failure to report these facts and provide context has perpetuated the myth of the 'illegal' who is taxing society." Dear America is one of the most comprehensive works you will read on immigration, as he makes his case with the heart, through his story and others, as well as the head, statistics and facts on immigration that you may not have known before. SHARE YOUR STORY: Vargas would like people to share their story using #WhyImHere and at HC.com/DearAmerica. Jose Antonio Vargas will be at Powerhouse Arena (28 Adams Street, Brooklyn, NY 11201, (718)666-3049, powerhousearena.com) this Wednesday, September 19 at 7 p.m. 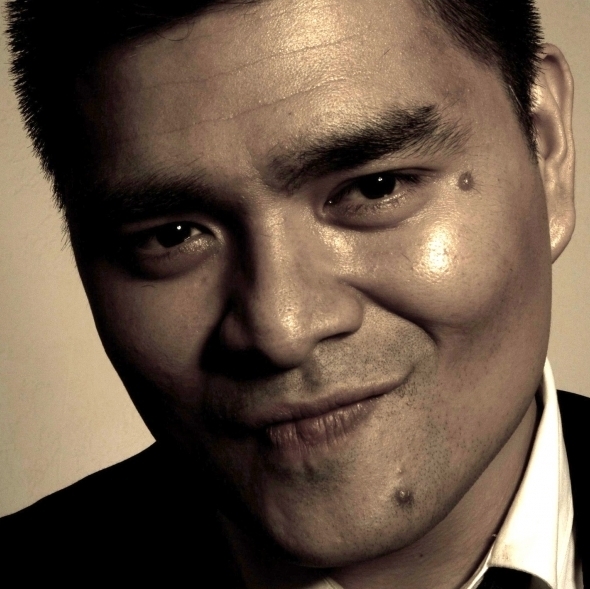 FOLLOW ON SOCIAL MEDIA: Vargas is on Twitter @joseiswriting, on Instragram @joseiswriting, and on Facebook: JAV.